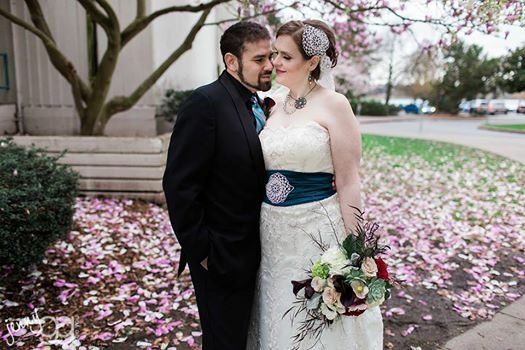 Yesterday, Jo and Tracy (featured in photo) were married at the Great Hall at Greenlake, surrounded by 100+ very happy family and friends. Over a number of months, we worked together to weave together personal elements and pieces into their ceremony so it was not only a celebration of their relationship but it was a community honoring as well. When I arrived yesterday afternoon, among other things, I was enchanted with Tracy’s gown, accessories and jewelry. And then I found out that the necklace I was admiring was something Tracy designed and created, especially for her wedding day. Ryan and Nina were married at The Salish Lodge at the end of February and had a parade of 13 flowers girls who danced and pranced down the aisle! Chris and Olesya were joined in marriage at the lovely Port Ludlow Resort and lovingly celebrated their son in beautiful and poignant ritual. Theresa and Alex got hitched at The Willows Lodge, and Theresa was beautifully dressed in favorite colors, black and red. 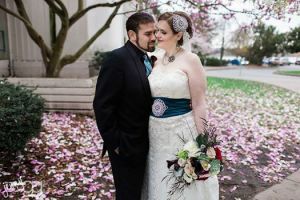 Andy and Michel were married in front of 200 people at AXIS in Pioneer Square and incorporated traditional from the couple’s ethnic heritage, including the wrapping of a cord and laying of a veil. Caitlin and Ben, married at Palisade, had one of the best and unique wedding cake designs I have seen in a long time – fresh, lovely and sweet, just like them. Don and Kristen encouraged family and friends to fully participate in their wedding day and when I arrived at their West Seattle Park, everything was in place. Krista and Tricia were married on a Washington State ferry, joined by 25 merry-makers they didn’t even know!